This past week we did a fun little Holiday Photo shoot with my dad's '53 Ford red pick up truck and my good friend Kelly of Kelamelia Photography. For the sweets we had chocolate sugar cookie sandwich cookies filled with buttercream and chocolate cupcakes with candied cranberries. 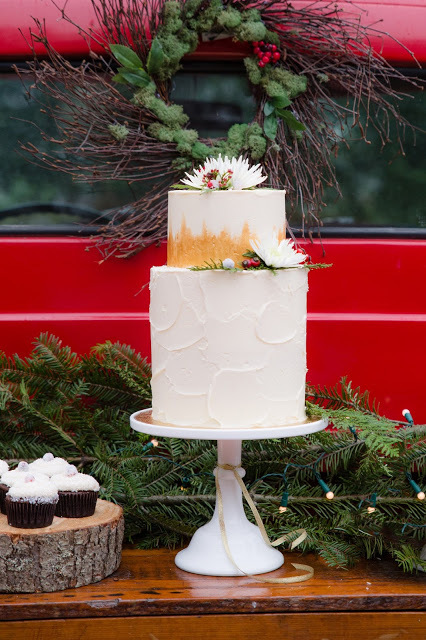 The cake was a tall tiered rustic cake with gold embellishment. We hope you all had a very blessed Christmas with your loved ones. 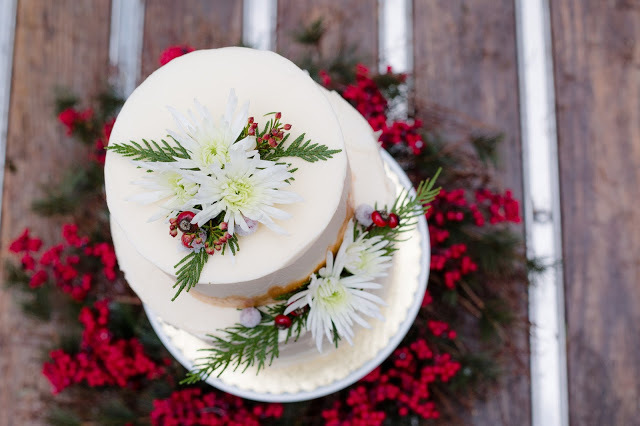 Merry Christmas from Delicately Sweet Confections!